내·외국인 함께 즐기는 글로벌 다이닝 네트워킹 파티, 원더풀 페스티벌입니다❇💕 글로벌 문화공연과 유튜브 크리에이터 강연, K-POP 댄스·가요제, 글로벌 문화 체험까지! 선착순 100명에게 박스퀘어 점포에서 사용할 수 있는 맥주 및 식사 쿠폰도 드려요💙 파티를 즐기고 싶다면 지금 바로 참여신청 하세요! Global Dining Networking Party, It's ONE THE FULL Festival❇💕 You can enjoy global cultural performances, YouTube Creator lectures and K-POP Dance & Singing Contest, global cultural experience programs, and on a first-come-first-served basis 100 people will be offered beer and meal coupons for use at the Boxquare store.💙 If you want to enjoy the party, everyone can participate, so join us now! 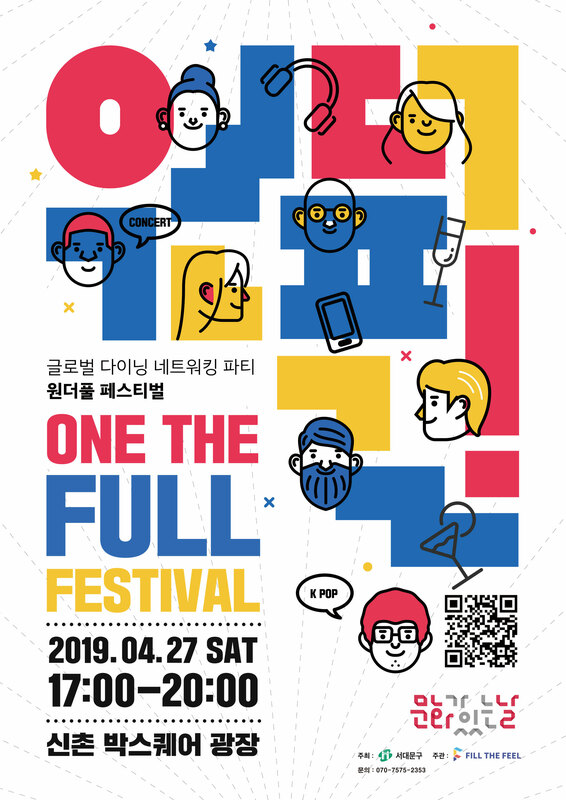 ✔Benefits of Participation : Watching global cultural performances, lecture and K-POP Dance & Singing Contest, Participate in the Global Experience Program, and Provides beer and meal coupons to 100 first-come-first-served people.